If you think velvet is just a dated fabric that springs eternal from the 1990's, you would be oh-so-wrong. This stunning and uniquely textured fabric is making in a comeback in a major way. We're seeing it splashed across couches, covering pillows, hanging on drapes, and as a special upholstery piece. If you're looking for some design inspiration, check out the incredible colors and dramatic views that velvet creates in interior design. If you need the couch of the century, we've got the perfect one for you right here. 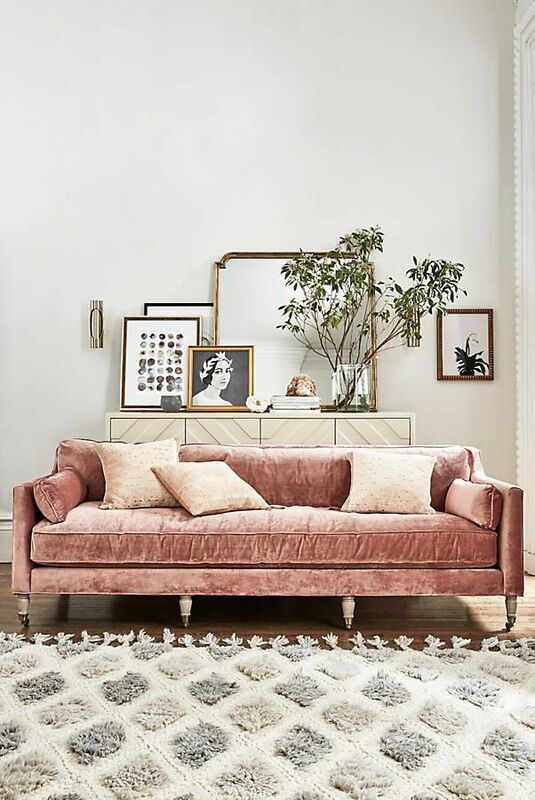 This couch would look perfect in your new home in Coachella Valley, California or upscale New Jersey. Piled with soft pillows, this couch looks like the ultimate luxury. If you thought velvet only belonged to pink ballerinas, it's time to think again. 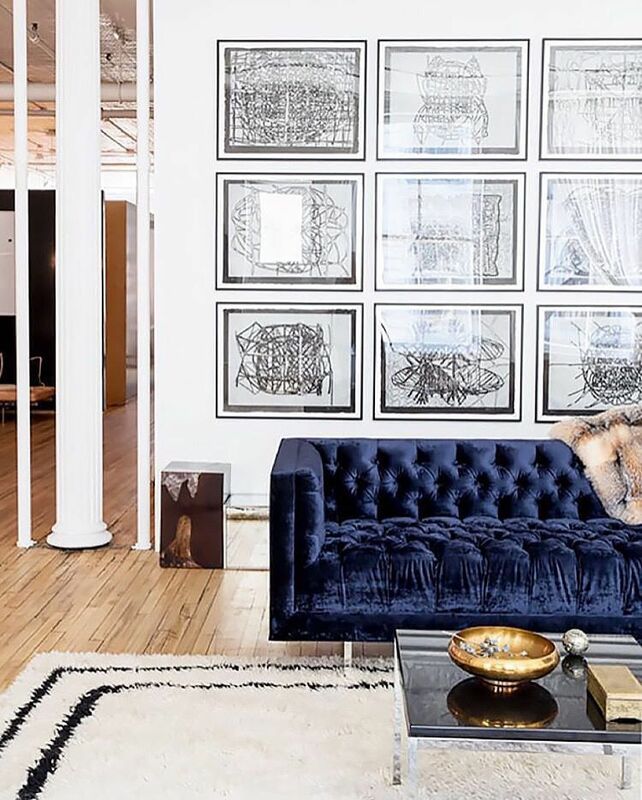 This midnight blue couch is striking next to white walls and strategically-placed artwork. It brings balance and a cool vibe to a room with modern undertones. One of the great things about using velvet, is that it's usually placed on a striking and visually compelling fabric. This bright mustard yellow is complemented perfectly by a wild array of pillows and soothing tones of a muted wall. It would look fab in a Florida home. 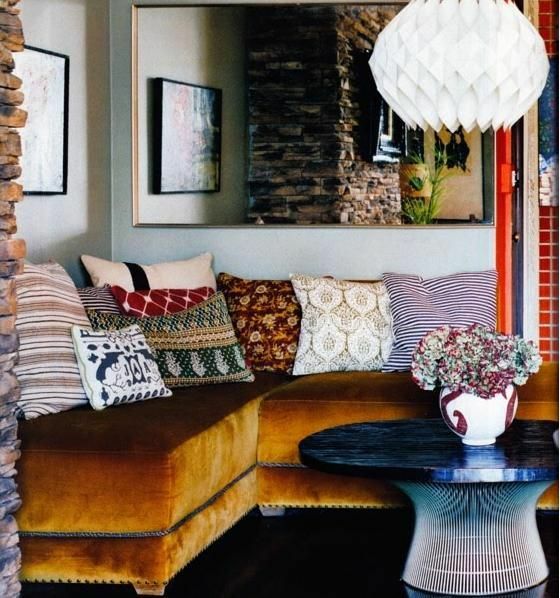 If you don't want to invest in an entire couch of velvet, add some soft texture to your soft spaces with pillows. We adore this group of colors and sizes that are each a little bit different. It makes the pillow pile fun and unique. 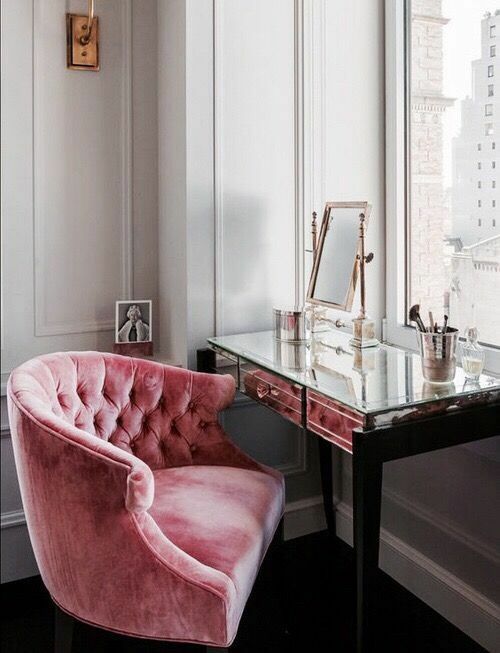 What could be better for a desk or vanity than a chair that's tufted and the perfect shade of blush. It's the perfect chair for a little girl's room-- but would also do well in a more mature setting as well. Jewel tones are bold and make a statement that's anything but boring. 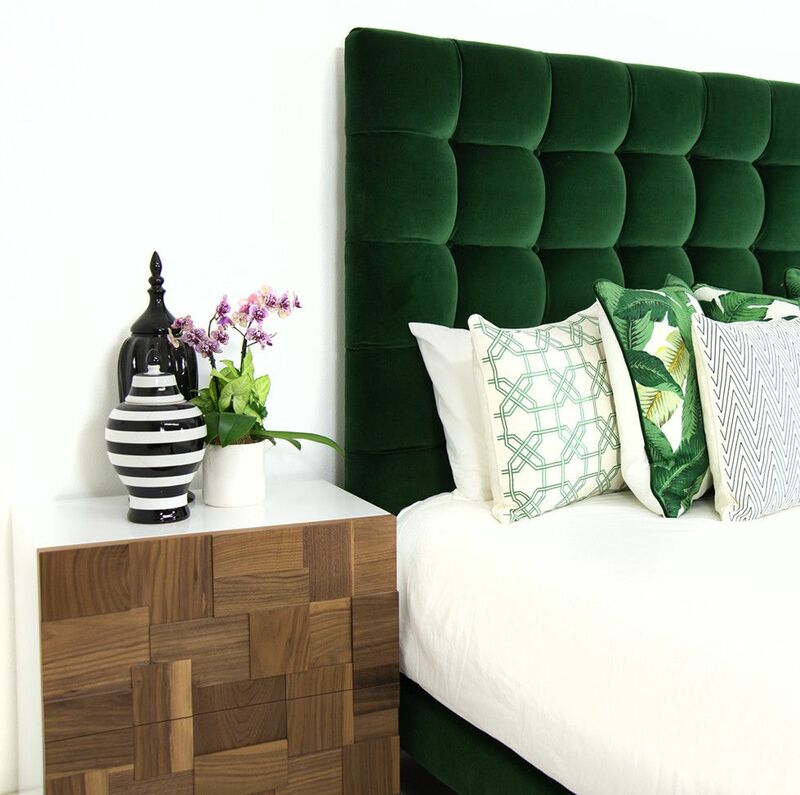 This tufted headboard is a beauty and pairs perfectly with soft white linens and pretty green pillow prints. Try this in a home outside of Washington D.C.-- in Arlington, VA. 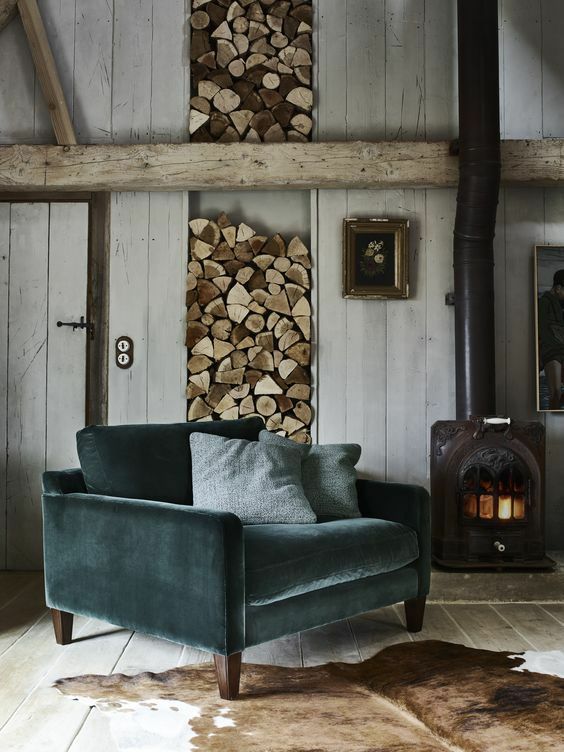 This moody grey armchair is the ideal location for brooding or daydreaming. With that wood stacked behind you and a strong fire burning, we've got the comfiest spot to cozy up and read a book all night long. It's perfect for a quiet Pennsylvania home in the country. 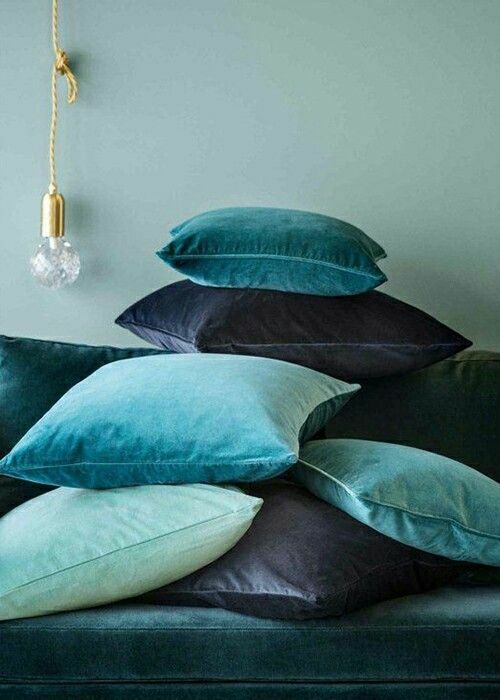 Whatever way you like to use velvet, we hope you'll consider incorporating it into your interior design this year. It's a bold statement piece that says you are not afraid to stand up and be seen. If you need a home that will fit your personal style and your wallet, let one of our expert Realtors help you out. Lucido Agency has agents across the United States dedicating to meeting your real estate needs.